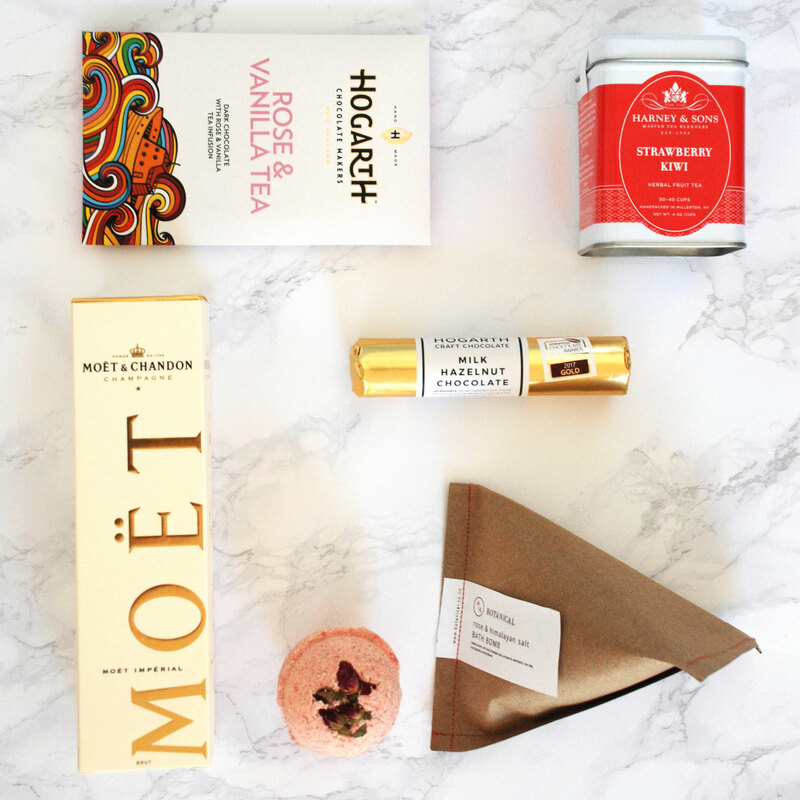 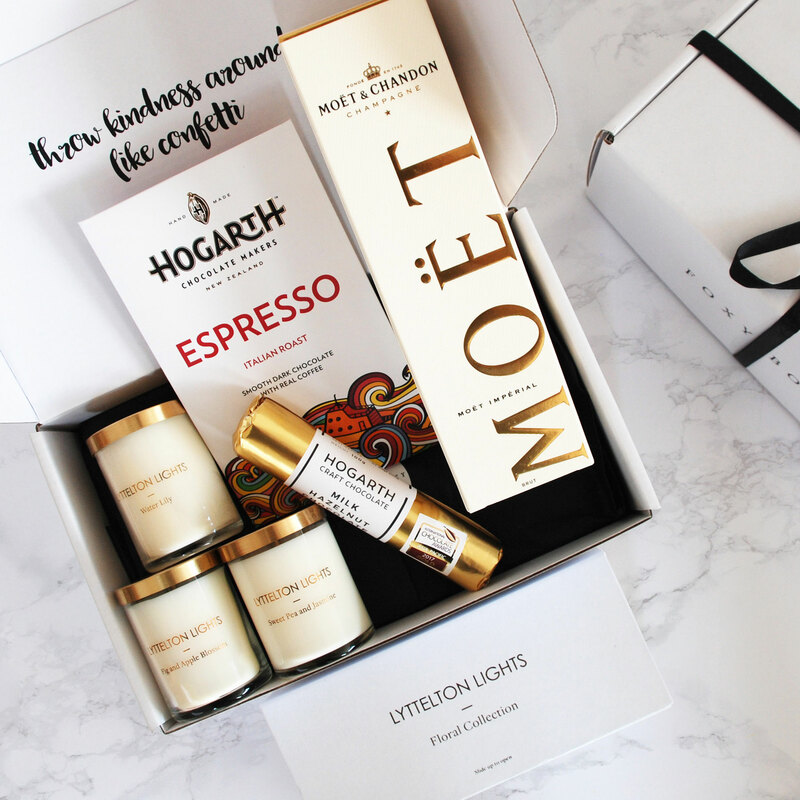 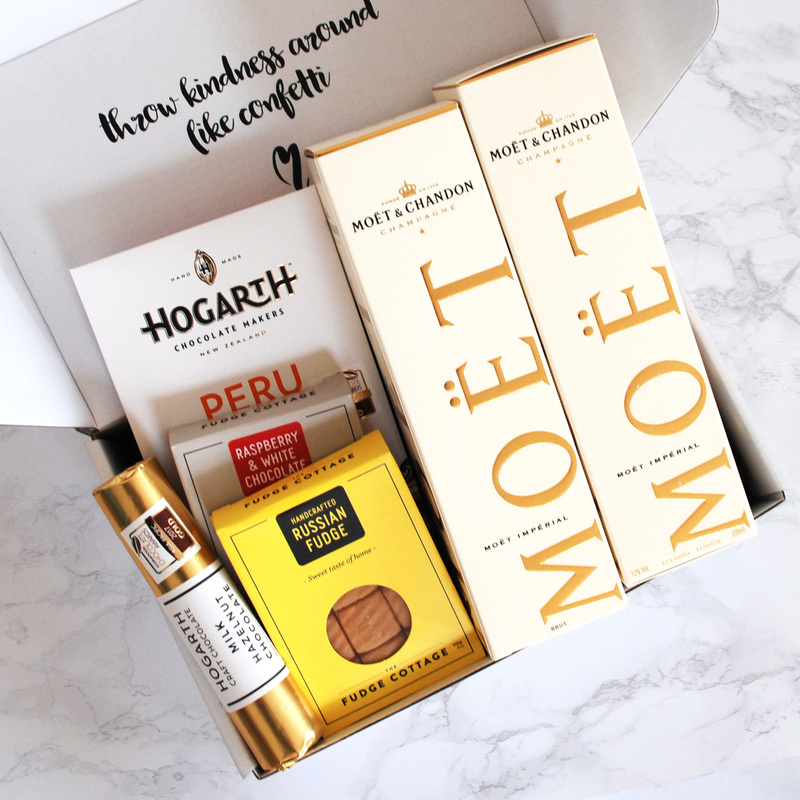 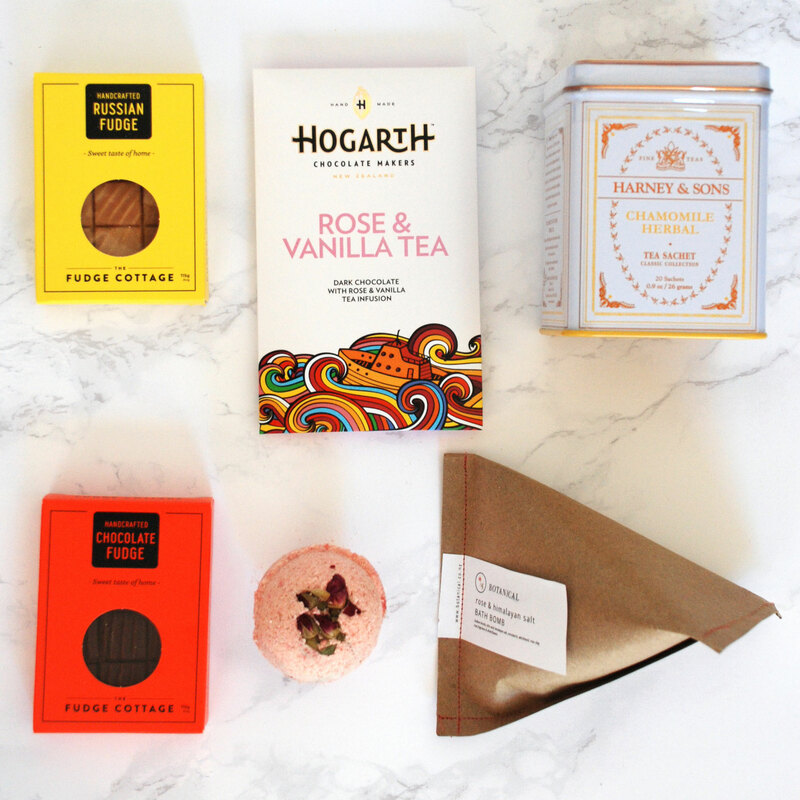 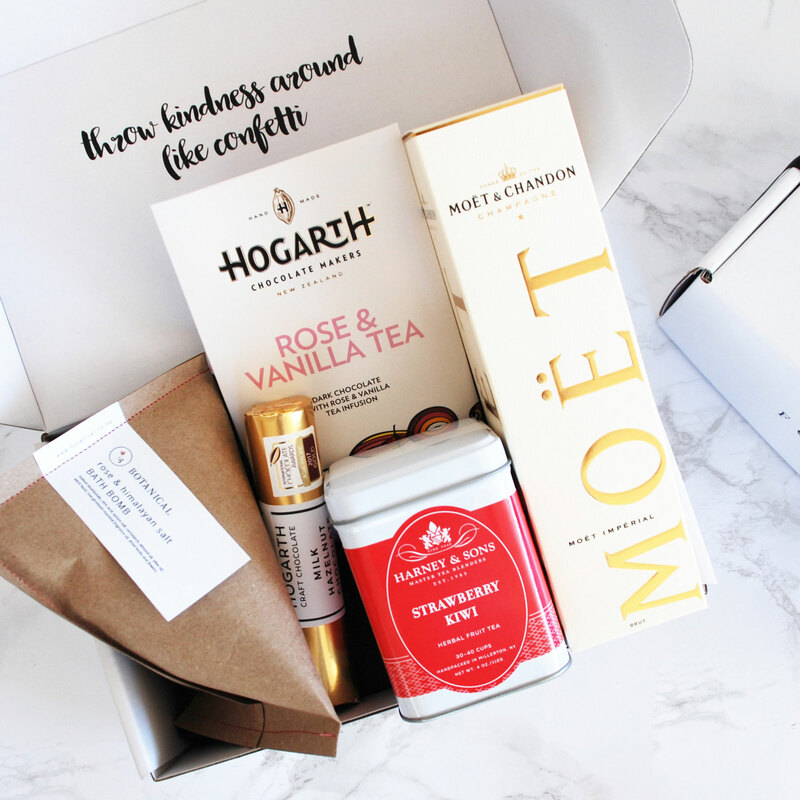 The box of three luxury scented candles from Lyttelton Lights, craft chocolate from Hogarth Chocolate Makers and the cutest bottle of world renowned Moët & Chandon makes a completely elegant gift box. 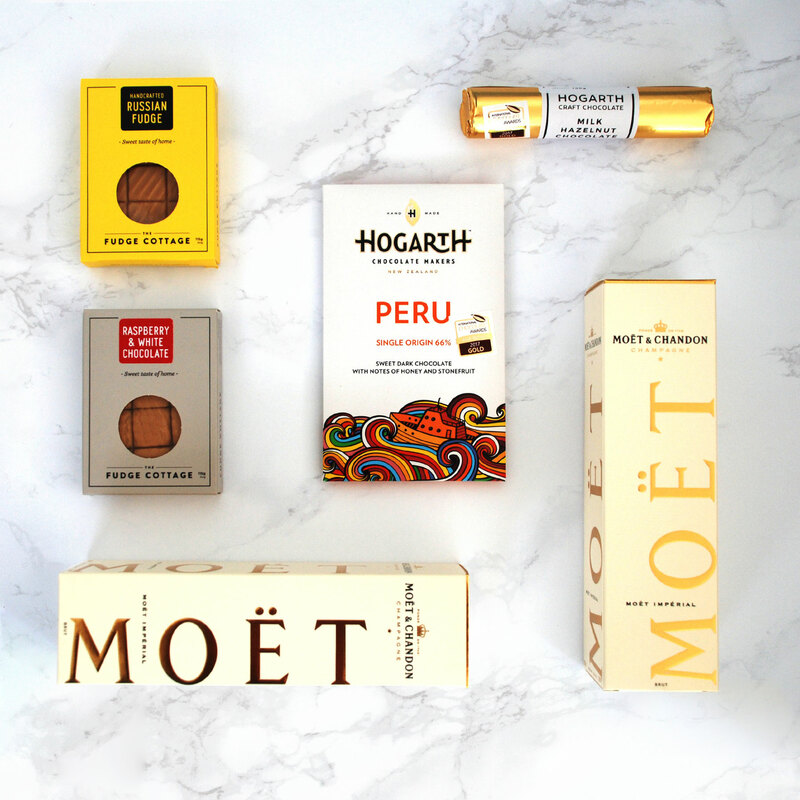 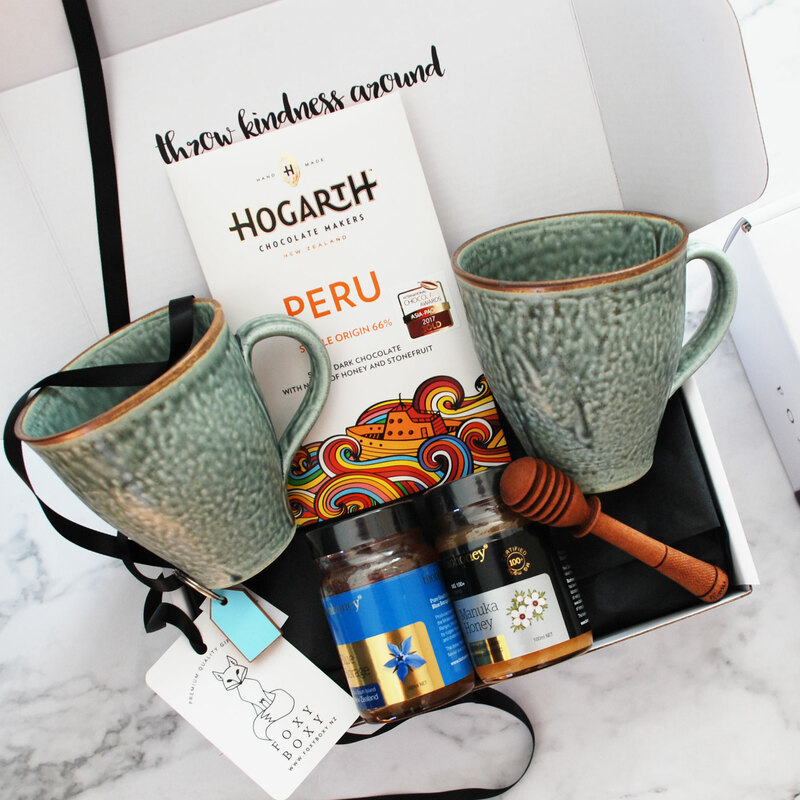 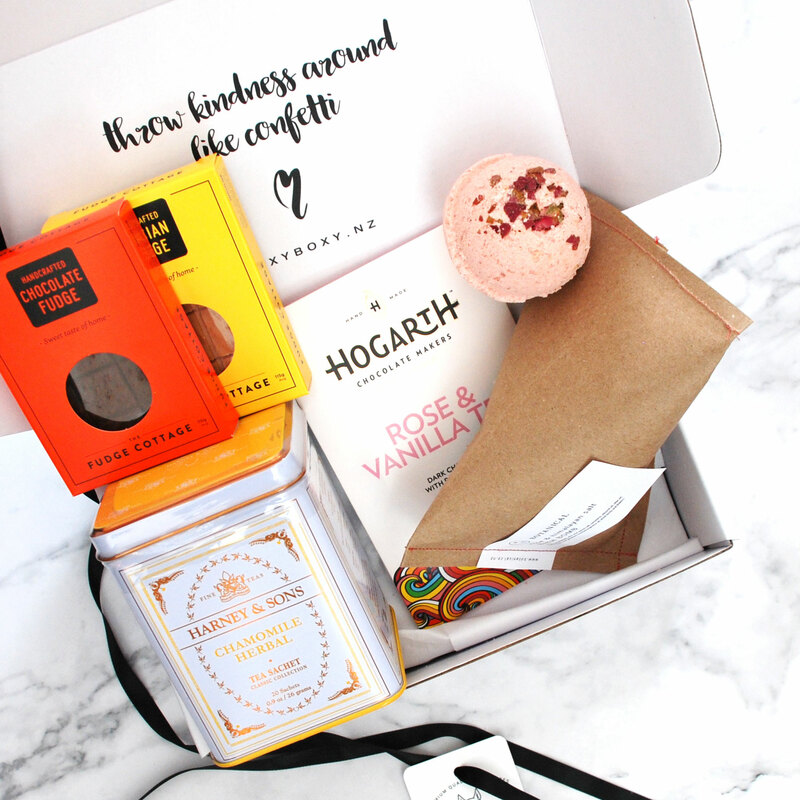 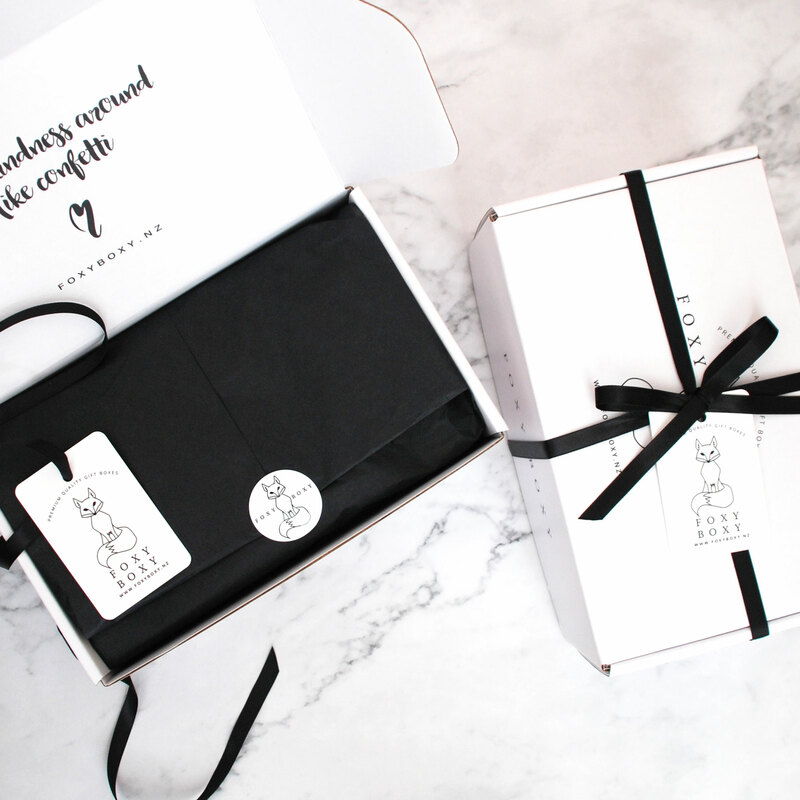 Those who like the finer things in life will swoon over this stylish gift of luxurious treats. 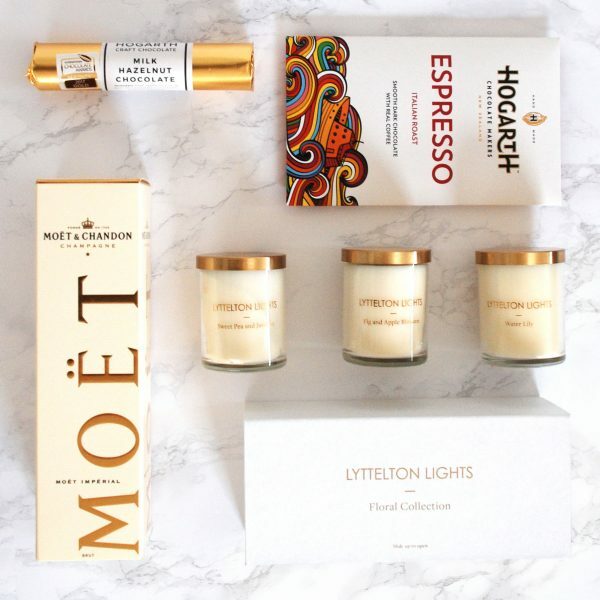 Lyttelton Lights is an artisan producer of luxury scented candles, handcrafted with care from all natural ingredients. The Floral Collection includes three x-small candles; Sweet Pea and Jasmine, Water Lily, and Fig and Apple Blossom. 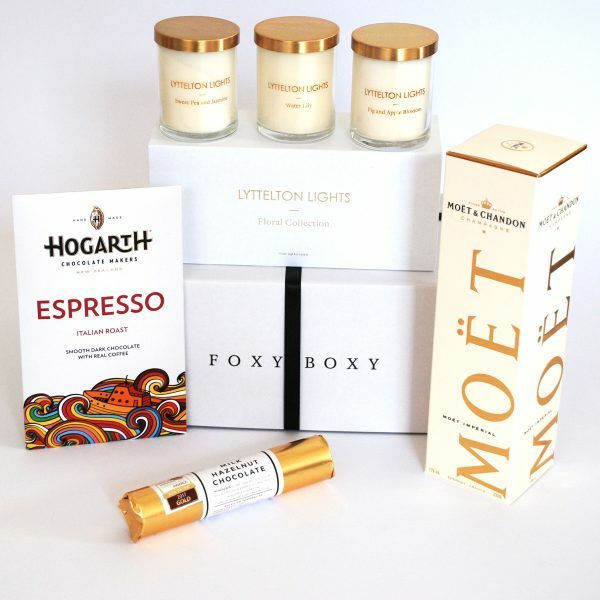 Lyttelton Light are the highest quality candles and make a elegant gift for any occasion. 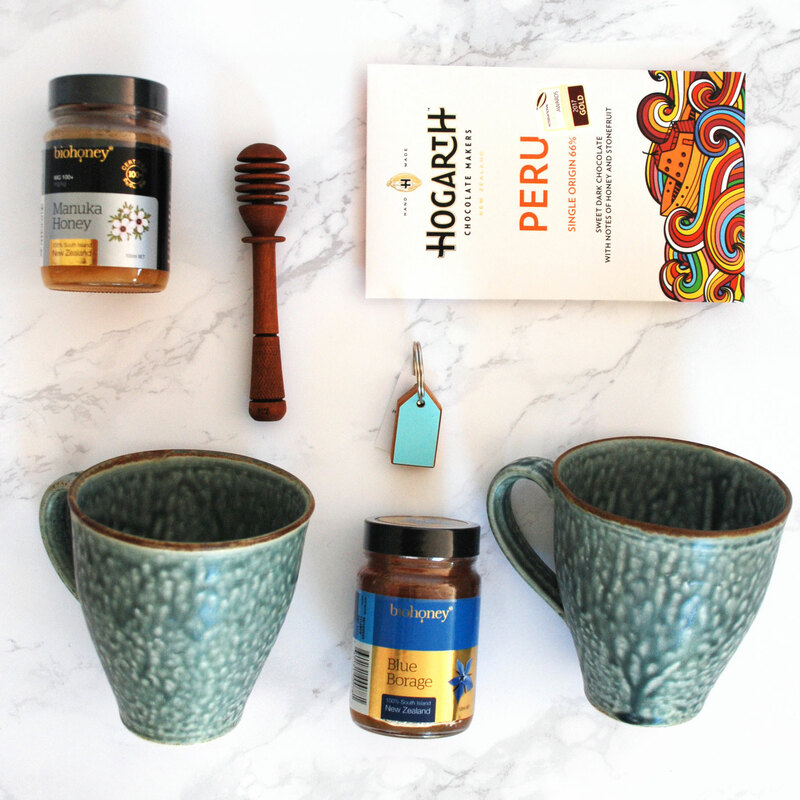 This bar is made of 68% Organic Trinitario cacao beans from Oko Caribe, Dominican Republic and pairs beautifully with a dark roasted coffee bean blend that is heavenly.